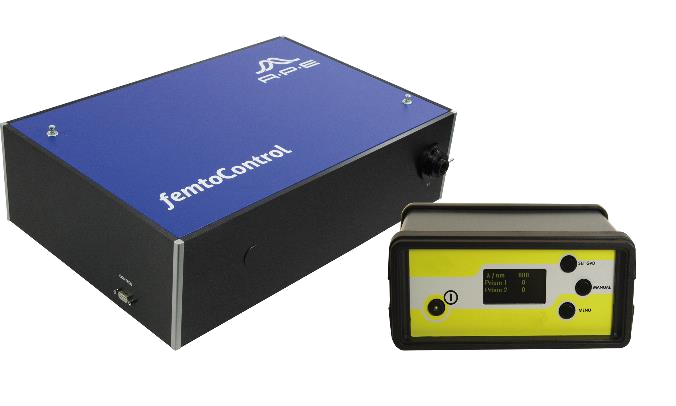 femtoControl is a compact motorized dispersion compensation unit for optimization of the duration of femtosecond laser pulses in the spectral range of Ti:Sapphire lasers. Femtosecond pulses which pass through any kind of optical material experience dispersion that can lead to temporal broadening of the ultrashort pulses with subsequent reduction in peak power. Thus, the experimental conditions are changed and degraded. femtoControl compensates for material dispersion by applying the inverse amount of dispersion to the pulse. This is generated by a pair of prisms on motorized translation stages allowing continuous adjustment of the pulse length. 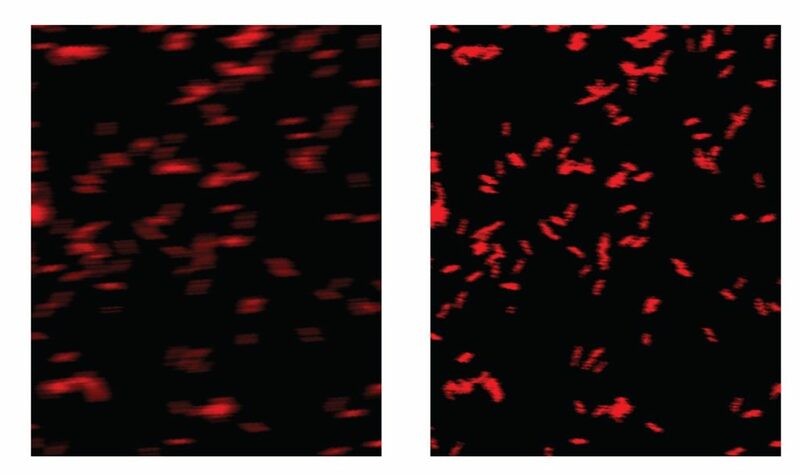 femtoControl can help to achieve more crisp and clearer microscope images especially for multi-photon microscopy. Laser pulses with a pulse duration in the ultrafast range. i.e. < 10 picoseconds (ps) are stretched by the dispersion of the optical material when passing through optical components like windows or lenses. Elaborate dispersion management by the means of a pulse compressor can compensate this effect. APE developed femtoControl, a compact pulse compressor for efficient, easy-to-use and remote controlled optimization of the pulse duration. FemtoControl operates following the principle of a four-prism compressor. Without further adjustment and without changing the interval between the prisms femtoControl is able to continuously compensate negative as well as positive dispersion that Ti:Sapphire laser pulses in the wavelength range of 690 to 1100 nm with input lengths between 80 to 200 femtoseconds (fs) may suffer from. Laser Sciences Services Pvt. Ltd.
APE Applied Physics & Electronics, Inc.